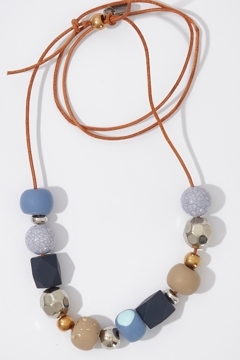 The Sparkle Mix Up Necklace from Greenwood Designs is a fun way to add a colourful and striking element to any outfit. Nice n light. But probably not very good value with the thonging arrangement.